DISUDESE: AK repost:"Italian Arrest: Former economic development minister Claudio Scajola "
AK repost:"Italian Arrest: Former economic development minister Claudio Scajola "
This is a repost of a post found on American Kabuki. It illustrates the fact that the "mass arrests" is still an ongoing process. MILAN - Italian prosecutors are investigating a former Cabinet minister and have ordered the arrest of a former sales manager for Finmeccanica as part of a corruption investigation into the state-controlled aerospace and engineering giant's international dealings. Former economic development minister Claudio Scajola is under investigation for alleged corruption in connection with Finmeccanica contracts in Brazil for the supply of Naval frigates, Italian media reported Tuesday. 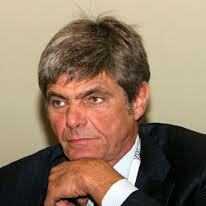 Scajola, who resigned from former premier Silvio Berlusconi's last government in a private housing scandal, denied any wrongdoing. "I always carried out the duties of economic development minister, which took me around the world, in full respect of the laws and rules," Scajola told TG 24 Italian television. "I never had private meetings. I am not worried, and I don't know what is behind this, but I am available to the prosecutors if they want to hear what I have to say." Police earlier arrested the former sales manager for Finmeccancia, Paolo Pozzessere, on suspicion of international corruption related to the supply of helicopters and other technology to Panama. Naples prosecutors allege that a Panamanian company acting as an intermediary for the deal was "secretly" controlled by a Panamanian politician. Finmeccanica has previously denied having paid or promised kickbacks of any kind to any intermediary or the government of Panama. 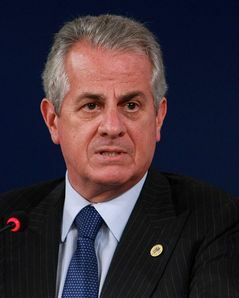 Pozzessere resigned from his position last September, saying that he was stepping down to protect the company's reputation and denying any involvement in illegal activities. He remains an adviser to the company on Russia. Finmeccanica, which has been the subject of a series of corruption probes that saw a chairman and former CEO resign under government pressure last December, had no comment on the development. The company is 30 per cent owned by the Italian government, which was coming under heat for not commenting on the developments involving Finmeccanica's international dealings. Separately, the company's former Chairman and CEO Pier Francesco Guarguaglini and his wife are suspected of being involved in a scheme in which false invoices were used to evade taxes and set up a €2 million ($2.7 million) slush fund to pay off political go-betweens. Both have denied wrongdoing. Finmeccanica is a global player in defence and aeronautics that employs more than 75,000 people worldwide and focuses on designing and manufacturing helicopters, civil and military aircraft, satellites, space infrastructure, missiles and defence electronics.